Hays – The HaysMed Foundation is pleased to announce new officers and members of their Board of Directors. The following members were elected as officers: Chris Wente, President; Alaina Cunningham, Vice President; Mark McCullick, Treasurer; and Tracy Frickey, Secretary. Those elected to a three-year term on the Foundation Board of Directors were Alan Moore, APAC-Kansas; David Van Doren, Hadley Center; Eric Wagner, Showcase Jewelers; and Van Witthuhn, Countryside. Directors re-elected to serve were Alaina Cunningham, Kay Patterson and Chris Wente. Retiring from the Board was Jerry Haley who was recognized for his service to the Foundation. He was elected to serve as a Director Emeritus for the Foundation. Other members-at-large on the Board are Michele Flax, T.J. Gottschalk, Eddie Herrman, Wayne Kieffer, Tom McDonald, M.D., Julie Rider, Patrick Scott and Brennan Uehling. The HaysMed Foundation is a 501(c)3 charitable organization that reaches out to the region to secure resources in support of HaysMed. Community volunteers who donate their time on the Foundation Board help to develop fundraising programs that are in alignment with the strategic priorities of HaysMed, and assist with increasing awareness of HaysMed and its mission. 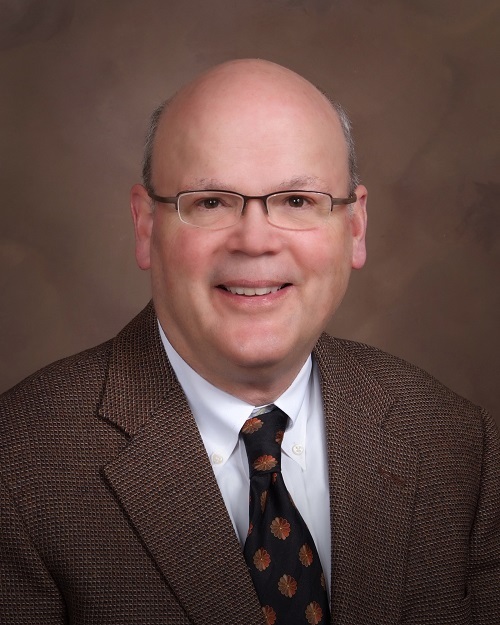 Hays, KS (April 23, 2018) – HaysMed, part of The University of Kansas Health System, is pleased to welcome Dr. Samuel J. Durham, Cardiothoracic Surgeon to the DeBakey Heart Institute. Dr. Durham will begin seeing patients at the DeBakey Heart Clinic on May 1. Young noted that heart surgery has been limited since Dr. Elizabeth Ashworth left HaysMed to care for her family. In the interim, Dr. Richard Toon, a cardiac surgeon from Salina has been performing surgeries on a regular basis. “We’re very fortunate that Dr. Toon was willing to step in and continue to allow us to offer heart services to our patients.” remarked Young. Dr. Durham graduated from Harvard Medical School in Boston, Massachusetts. He did a residency in cardiothoracic surgery at the University Health Center in Pittsburg, Pennsylvania. 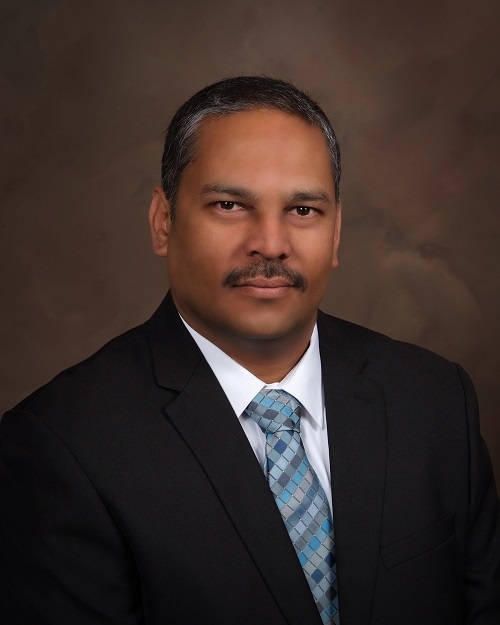 He also completed a fellowship in pediatric cardiothoracic surgery and is board certified in general surgery and thoracic cardiovascular surgery. His areas of focus include cardiothoracic surgery, adult cardiac surgery, adult cardiology, cardiovascular surgery, minimally invasive surgery, peripheral vascular surgery, thoracic surgery thoracoabdominal surgery and vascular surgery. 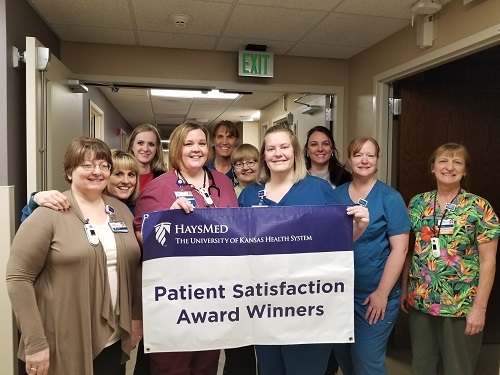 Hays, Kansas (April 23, 2018)—The Women’s Center, Sleep and Neurodiagnostic Institute, Breast Care Center and BioMed were recently named the patient satisfaction award winners for the 4th quarter of 2017 at HaysMed, part of The University of Kansas Health System. The Women’s Center was recognized for having the most improvement in their overall rating. Their unit score was 88.5% putting them at the 93rdth percentile. In 2017 they had 572 deliveries and had 65 admissions in the Neonatal Intensive Care Unit. The Sleep and Neurodiagnostic Institute, an outpatient department had a 10% increase in the overall rating scores. The department has 3 full time staff members. They conducted 439 sleep studies and 120 EEGs during 2017 and are a nationally accredited sleep center. Garnering the clinic award was the Breast Care Center. They had a 9.2% increase on their overall satisfaction rate. The Breast Care Center has nine full time staff members and is open 5 days a week. BioMed received the Customer Service Award for their services provided as one of the main infrastructures of the hospital. Their department has 8 full time staff and are responsible for the care of 4,275 pieces of equipment. The also provide regional services that include coverage of 9,732 pieces of equipment at 87 outreach facilities. 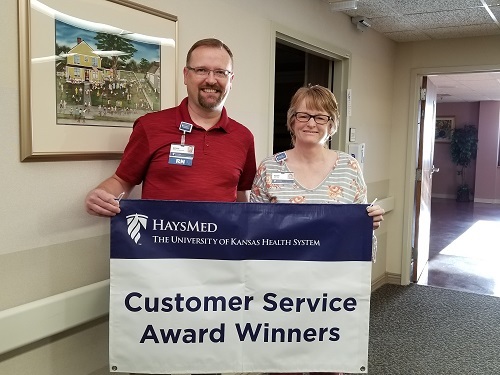 Hays, KS (April 23, 2018) – HaysMed, part of The University of Kansas Health System, is celebrating National Patient Experience Week April 23 – April 27. This annual event celebrates the everyday impact that healthcare staff have on the patient experience. 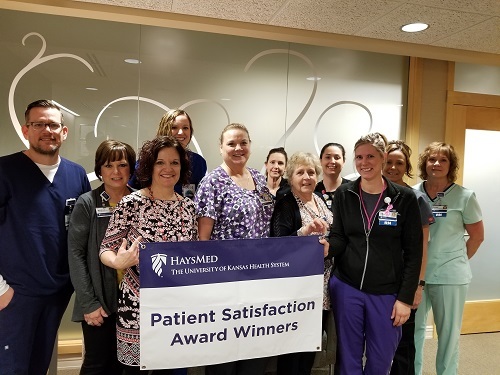 “Patient Experience Week provides a time for us to celebrate the accomplishments, reenergize efforts and honor the people who impact patient experience every day at HaysMed.” Said Melanie Urban, Director of Quality. Several activities are planned during the week including recognizing Associates who impact the patient experience, delivery of carnations to hospitalized patients, fresh baked cookies for the public and a special TGIF for Associates. This is the third year HaysMed has participated in this national event. HAYS, Kansas  Astra Bank and the HaysMed Foundation announce the creation of the Astra Bank Endowment with a commitment of $25,000. The Astra Bank Endowment will provide funding for special projects benefitting the citizens of our community through the mission of HaysMed. “Astra Bank is extremely excited about our relationship and newly endowed fund with HaysMed. Our region has been blessed by the talents and generosity of many who make HaysMed a leader in the healthcare industry. 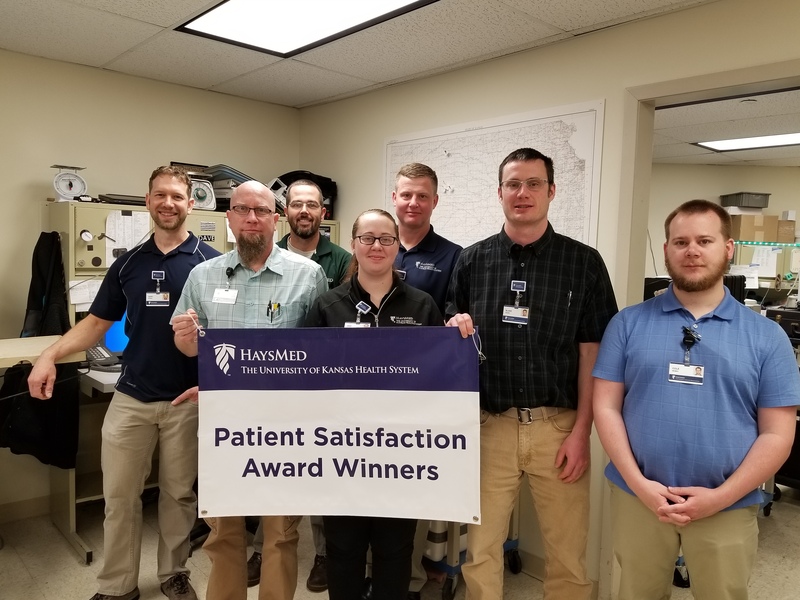 HaysMed has been and will continue to be an integral part of the longevity and success of our community. Astra Bank prides itself in community involvement and growth, which is exactly why we worked with the Foundation in establishing this fund,” said Astra Bank Senior Vice President Bryan VonFeldt. Astra Bank’s vision and core values include a commitment to the communities in which they serve. Astra Bank was founded in 1911, is headquartered in Abilene, Kan., and operates locations in Kansas and Nebraska. The HaysMed Foundation was formed in 1995 and is a charitable, not-for-profit organization whose mission is to support HaysMed. The Foundation, in partnership with donors, seeks to meet immediate and long-range health care needs of the people of western Kansas. An 18-member volunteer board guides the efforts of the Foundation. Donations can be sent to the HaysMed Foundation, 2220 Canterbury Drive, Hays, Ks. 67601 or by visiting https://haysmedfoundation.org/donate.